The flexible packaging manufacturer is hiring locally for open positions. Vonco Products is hosting a hiring event for the entire community and interested applicants for open positions on Wednesday, May 17 from 7:30-10:30 a.m. and 3:00-7:00 p.m. at the Town of Salem Fire/Rescue Station One, 11252 254th Court, Salem Lakes. 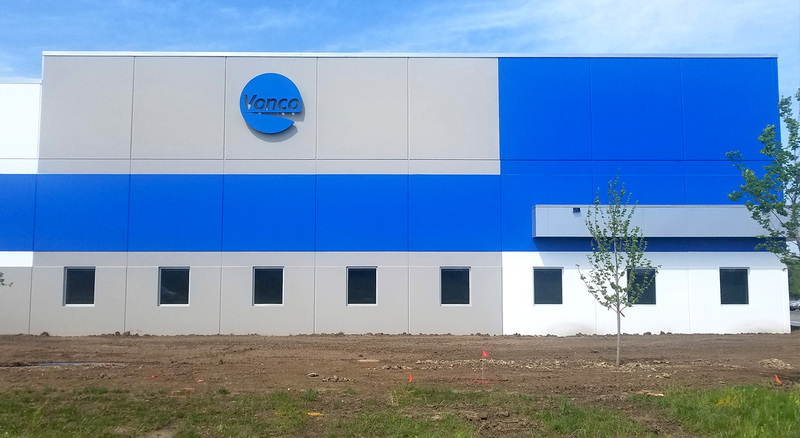 As Vonco’s new 80,500 square foot production facility and company headquarters nears completion, they invite the public and interested applicants to come celebrate their new development, learn more about the company and its culture, meet some of the Vonco team, and learn about and apply for open positions. The company is currently hiring for entry level positions. The event will also feature tours of the new facility, examples of Vonco products and a chance to meet current Vonco employees. Visit the website at www.vonco.com/vonco-careers.php. Candidates may apply in person at the Job Center of Wisconsin’s Employment Central, 8600 Sheridan Road, Kenosha. If you do not have a resume, Job Center staff are available to assist you. Vonco is proud of its 60-year history throughout which it has made its employees a top priority. A key reason for the company’s relocation is to provide its employees with a better working environment. The company strives to be an employer of choice and offers many advantages for its employees including a bonus program, ongoing incentives for exceptional performance and promotions from within. At the new facility, state of the art equipment will be installed including printing presses, pouch lines and clean room manufacturing. It will be equipped with climate control for all seasons including air conditioning and humidification. The employee dining areas are restaurant quality and the office area is designed to promote a team-based environment and collaborative approach to serving our customers. Vonco is looking for employees that are ready to grow with us! Vonco announced in October that it is relocating its operations from Lake Villa, Illinois to Kenosha County. The new facility will allow them to operate more efficiently and increase overall capacity. The company expects to invest more than $4 million in equipment at the facility and create 86 jobs over the next three years. Vonco will be the anchor tenant of a new business park being collaboratively developed by the Kenosha Area Business Alliance (KABA), the Village of Salem Lakes and Kenosha County. Vonco is leasing the building from KABA and will have an option to purchase the facility. The Town of Salem Lakes created a tax increment financing district to support the Salem Business Park development. Vonco Products, LLC is a manufacturer of flexible packaging products for the medical, food, retail and industrial markets since 1955. Vonco’s vision is to create products that protect its customers’ products and contents while promoting their companies and brands. Vonco’s unique manufacturing processes specialize in pre-formed pouches and bags that require customized features such as liquid tight, shapes and fitment insertion with unsupported or supported materials. The collaborative design process allows our customers to achieve a level of customization that they didn’t believe was possible.